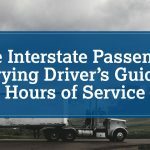 Home » What is the “Move Over” Law? The operator of a motor vehicle approaching an authorized emergency that is displaying a blinking, flashing, or alternating light must approach the emergency vehicle with caution. In these situations, unless explicit direction is provided by a law enforcement officer, drivers can only proceed by making a lane change into a lane not adjacent to the emergency vehicle if it possible and safe to do so, or if a lane change is impossible then the motorist must reduce the speed of the vehicle to a reasonable speed for the existing road conditions. During this time, the driver should be prepared to stop. The driver of a motor vehicle approaching a stationary tow truck that is displaying a flashing light or a stationary highway maintenance or emergency vehicle and displaying an amber, red, or yellow light must approach the vehicle with due caution. While approaching this vehicle, the driver should proceed by making a lane change into a lane not adjacent to the vehicle if possible and safe to do so, or if this cannot be done, reducing the speed of the motor vehicle to a reasonable rate for the surrounding conditions. Violation of New Jersey’s move over law does not carry any points. A person, however, will be fined between $100 to $500. A person’s insurance carrier will also likely increase their motor vehicle insurance as the result of one of these offenses. Like most motor vehicle laws, New Jersey’s move over law is intended to decrease the rate of accidents and keep motorists safe. 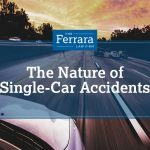 As a result, if you were involved in any type of accident in New Jersey, including those involving a motorist who failed to move over, do not hesitate to contact an experienced attorney at Ferrara Law. Our legal counsel knows what it takes to make sure that you obtain the compensation you deserve.